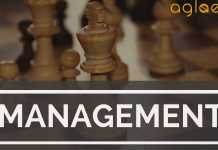 Indian Institute of Management (IIM) Raipur in the Fellow Programme in Management (FPM) is the full-time doctoral programme that offers research scholars opportunities for advanced studies and research in the different area of ‘Management’. The Programme aims to prepare research scholars for careers in teaching and research in management studies and in related disciplines, and for careers in the academic institutions and in other organizations that require advanced analytical and research capabilities. Latest: Last date of receiving application form is now over! Schedule for IIM Raipur FPM Admission 2019 is given below. The application form is to be downloaded from IIM Raipur website www.iimraipur.ac.in. If a candidate wishes to apply for more than one area, separate application form along with all other required documents and DD (if applicable) is required. A candidate can apply a maximum of two areas. Interested candidates can download the application form from the mentioned below link. Application Fees: Completed application form together with all relevant documents and a Demand Draft of Rs. 1000/- (Rs 500 in case of NC-OBC, SC, ST, DAP) for each area applied, in favor of Indian Institute of Management Raipur, should reach only through speed post to the Admissions Office (Fellow Program), Indian Institute of Management Raipur, Atal Nagar, P. O. – Kurru (Abhanpur), Raipur – 493 661, Chhattisgarh on or before February 28, 2019. Note: Those who are appearing for their final year examination in the current academic year may also apply. However, their admission to the programme will be provisional subject to their successful completion of all requirements for obtaining the relevant degree before 30th June 2019. Age limit: Candidate must not be more than 50 years as on 1st June 2019. Candidates must submit the No-Objection Certificate from their employer at the time of admission. 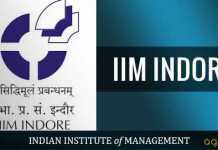 Result for Indian Institute for Management Raipur will be released on the official website of IIM Raipur i.e. www.iimraipur.ac.in. Candidates can check the result from the official website, also, direct links to check the same will also be provided below. The CAT/GRE/GMAT/GATE/JRF-UGC/CSIR percentile will be used for shortlisting candidates for PI. The tentative category-wise minimum percentile is as follows. The respective area will decide the number of candidates to be called for PI on the basis of shortlisted merit list prepared for each category and specialization. However, if the actual number of shortlisted candidates were found to be more than the required number of candidates to be called for PI category-wise, then the overall, as well as section wise minimum score, would be increased to get the desired number of candidates. Ans. FPM stands for Fellow Programme in Management. What is the eligibility condition for admission? 4 years/8 semester bachelor’s degree (B.E./B.Tech.) with at least 60 percent marks or equivalent grade point average. Ans. The IIM Raipur invites applications from high-quality candidates with strong academic background, preferably with professional experience, and intellectual curiosity requires for scholarship in management. Do I have to take CAT for getting admission into FPM? Ans. If you do not have a CAT score, then you must have a valid score of GMAT/GATE/GRE/UGC-JRF with appropriate discipline. Ans. Download the application form from our website. Fill in the application form and send it by speed post to FPM office along with all your relevant certificates and a demand draft of Rs500 in favor of Indian Institute of Management Raipur. What is the process of admission to the programme? If you are shortlisted based on your standardized test score, you will be called for the interview to be held at Raipur. Admission is subject to the recommendation of the interview panel. Can I apply in more than one Area? Ans. Yes, a candidate can apply in two areas. What are the important stages in the FPM program? Do FPM students get any other financial support to meet academic expenses? Ans. Yes, We provide contingency grant of Rs.40, 000 per annum & one-time grant of Rs.50, 000 to purchase a PC/Laptop. Do FPM students get accommodation in the hostel? Ans. FPM is a fully residential programme and the participants are required to stay in the hostel. What is the last date for submitting the application? Ans. The last date for submitting the application is 28 February 2019. For Complete information regarding IIM Raipur FPM Admission 2019, Candidates can go to the Official website given below.